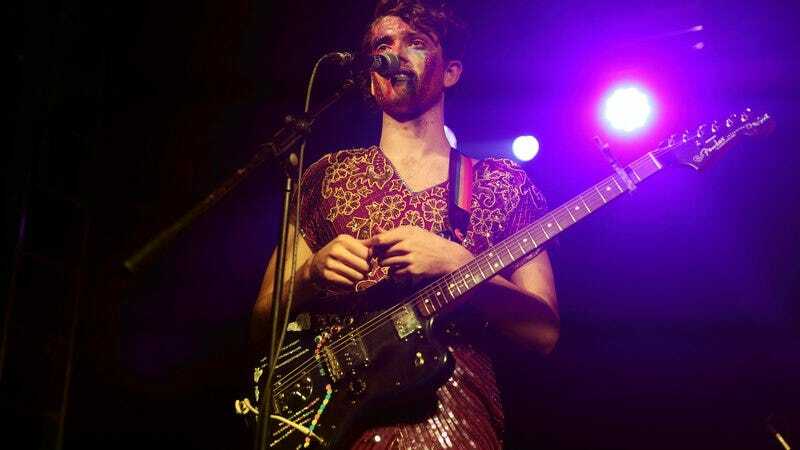 After a week that’s seen the band’s seemingly bright future rocked by allegations of sexual assault against member Ben Hopkins, queer indie rock band PWR BTTM has been dropped by its label, Polyvinyl Records. Earlier this week, the label began issuing refunds for the band’s new album, Pageant; now, it’s issued a statement informing the public that PWR BTTM is no longer part of its stable of artists, and that it intends to make donations to organizations that support victims of sexual violence. Throughout our 20 years, Polyvinyl has purposefully operated on the core principle that everyone deserves to be treated with fairness and respect. There is absolutely no place in the world for hate, violence, abuse, discrimination or predatory behavior of any kind. In keeping with this philosophy, we want to let everyone know that we are ceasing to sell and distribute PWR BTTM’s music. If you have ordered PWR BTTM products from Polyvinyl and would like to receive a full refund for your purchase, please contact mailorder@polyvinylrecords.com. We ask for your patience as we work to quickly process all requests. We will be making donations to the following incredibly important organizations: RAINN (rainn.org) to support its efforts against sexual violence, and AVP (avp.org) to aid its programs against LGBTQ violence. Our hearts go out to all victims of discrimination and all survivors of sexual violence. The accusations against Hopkins—which are laid out neatly in this Jezebel article—have led a number of people to cut ties with the band. Several opening acts have dropped out of touring with it—as has at least one member of its touring band—and its management has dropped it as well. The band was also forced to cancel at least one festival appearance, and its scheduled release party for Pageant. Meanwhile, Father/Daughter records, which released the band’s 2015 debut album Ugly Cherries, has removed that album from its digital shelves, as well.